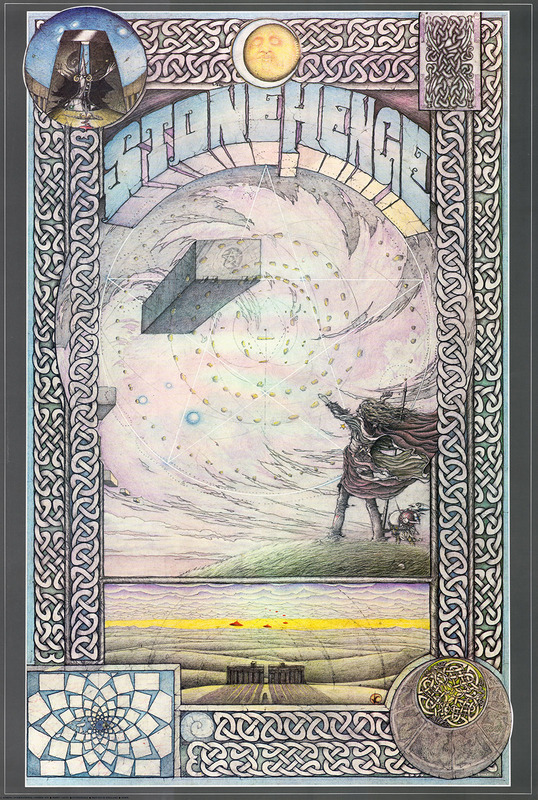 Released respectively in 1976 and 1980, these The Lord of the Rings and The Hobbit posters were sold in Athena, the British chain of art retail shops whose products—which included best-sellers Tennis Girl, also released in 1976, and Syd Brak’s 1982 Long Distance Kiss—were ubiquitous signifiers of the evolving aesthetic and sociological landscape in Britain. The work of young artist Jimmy Cauty, who was 19 years old when his Lord of the Rings poster went on sale, they vividly evoke the countercultural milieu that the fantasy genre at the time still largely inhabited—a world of hippies and students saturated with the paranoia and trippiness of drug culture and worlds away from the patrician dreams of Tolkien himself. Providing easily-recognizable banners with which to signal tribal allegiances—as well as cheap domestic decoration—posters came to possess totemic importance for hippies and the the youth subcultures that emerged in their wake, and mass-market visual representation was also an increasingly important aspect of the sci-fi and fantasy genres. Bolstered by the success of 1977’s Star Wars and the visibility of Ralph Bakshi’s 1978 animated adaptation of Lord of the Rings, fantasy spawned a stream of bestselling books and shifted huge amounts of merchandise throughout the 1970s and ’80s, but the odor of retrograde puerility (i.e. dross like John Norman’s female-slave-obsessed Gor books) continued to hang over the field until the Harry Potter books in the late 1990s recast the genre in a nominally more progressive—and lucrative—postmodern form. Along with Bill Drummond, Cauty would later become famous as one half of situationist dance acts The Justified Ancients of Mu Mu and the KLF. As The Timelords, the two were also responsible for 1988 satirical glam rock Dr. Who novelty single “Doctorin’ the Tardis,” the video for which featured the KLF’s 1968 Ford Galaxie touring mythical Wiltshire landmarks including the Avebury standing stones and the Cherhill white horse. A seamless blending of Gary Glitter’s Rock and Roll (Part Two), the Doctor Who theme music, and Sweet’s “Blockbuster” seasoned with Dalek voices emitting lowest-common-denominator TV and football catchphrases, Doctorin’ the Tardis (a pun on the same year’s Doctorin’ the House by Coldcut, itself a pun on the beloved Doctor in the House series of films and books) hit a sweet spot of sub-throwaway top 40 trash and inspired pop culture savantry. It was a number one hit in Britain, and Cauty and Drummond followed it up the same year with The Manual (How to Have a Number One the Easy Way). a bestselling guide to writing a hit record. After performing at the 1992 British music industry’s awards ceremony, the BRITs, where they brought along with them grindcore punk band Extreme Noise Terror and fired machine guns loaded with blanks over the heads of the audience, the KLF disbanded, subsequently claiming to have burned a million pounds of profits and burying the “Best British Group” statuette they had been awarded at the BRITs in a field near prehistoric monument Stonehenge in righteous disgust at the clubby, inwards-looking gerontocracy of the British music industry. 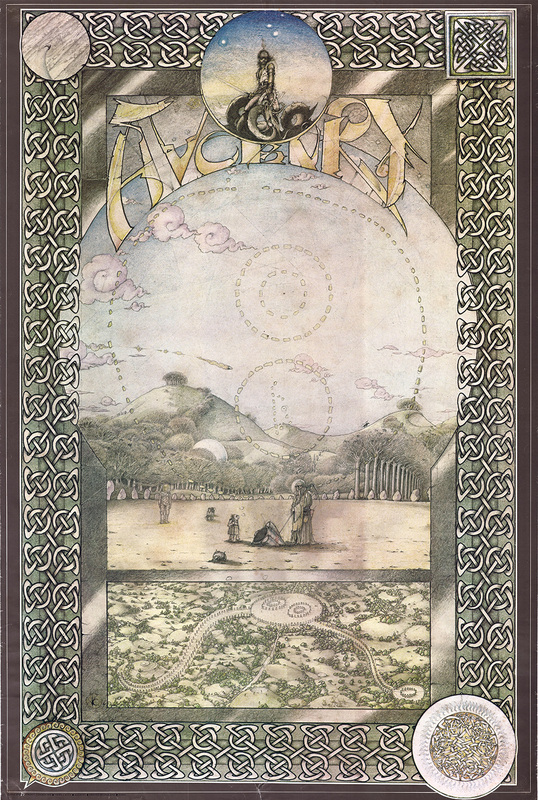 This was especially apt, as in 1976 Cauty had also produced a trio of beautiful posters (shown above) depicting British megalithic sites and dense with paranormal countercultural detail, the highest expression of which may be the red UFOs flying in formation above Stonehenge, and the wizard placing the great stones using the occult power of the Pentagram. Wow. 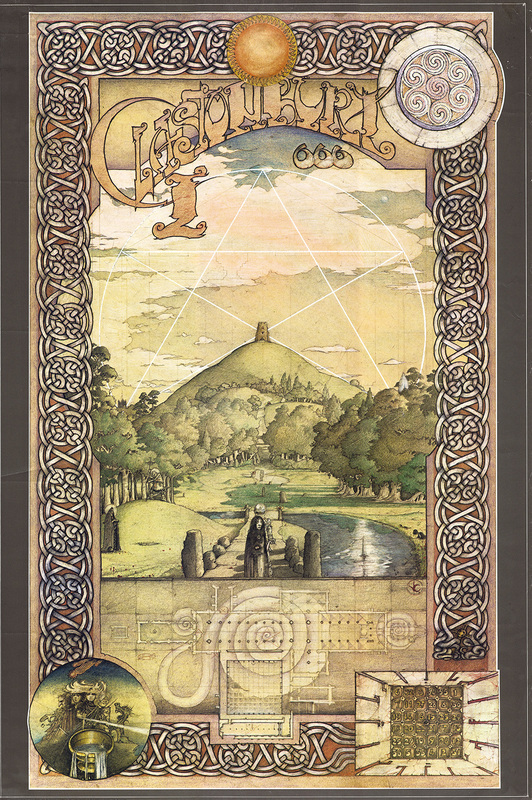 I’d known about Cauty’s first Lord of the Rings poster but not about the others. He’s a man of many talents.